Brett Thompson Racing :: DEVIATE dived on the line to secure the 2nd Tab.com.au Starmaker 2YO Hcp, 1000m. DEVIATE dived on the line to secure the 2nd Tab.com.au Starmaker 2YO Hcp, 1000m. 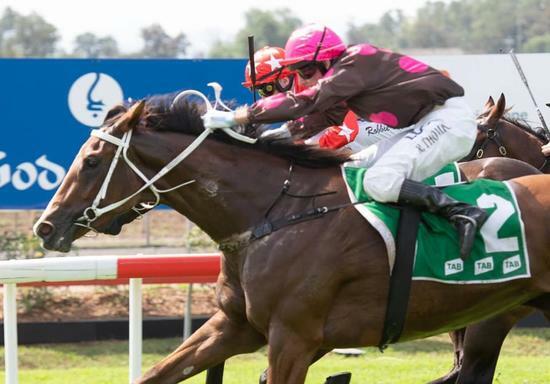 24th March 2019 - Muswellbrook - DEVIATE dived on the line to secure the 2nd Tab.com.au Starmaker 2YO Hcp, 1000m. Jockey Robert Thompson. Congratulations to John and Sandra Harding on this win!